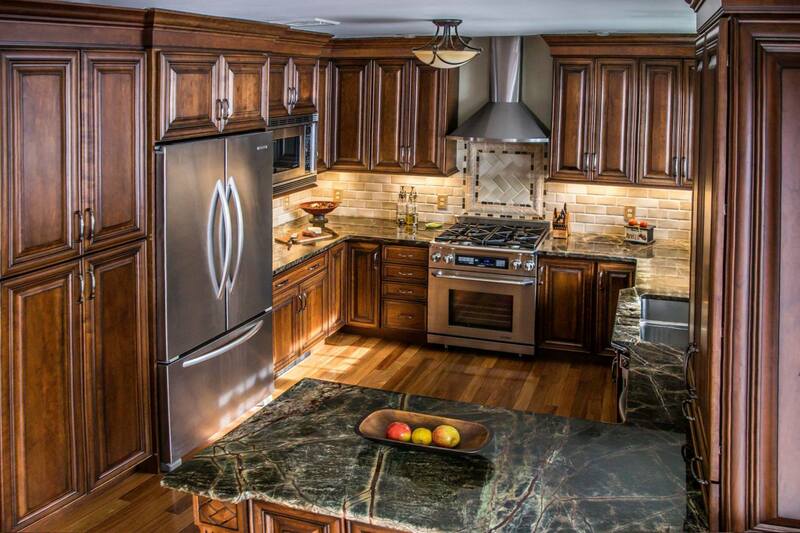 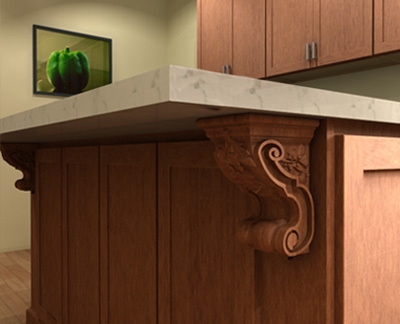 Ultimo® Custom Cabinetry is hand-crafted in America and built to order. 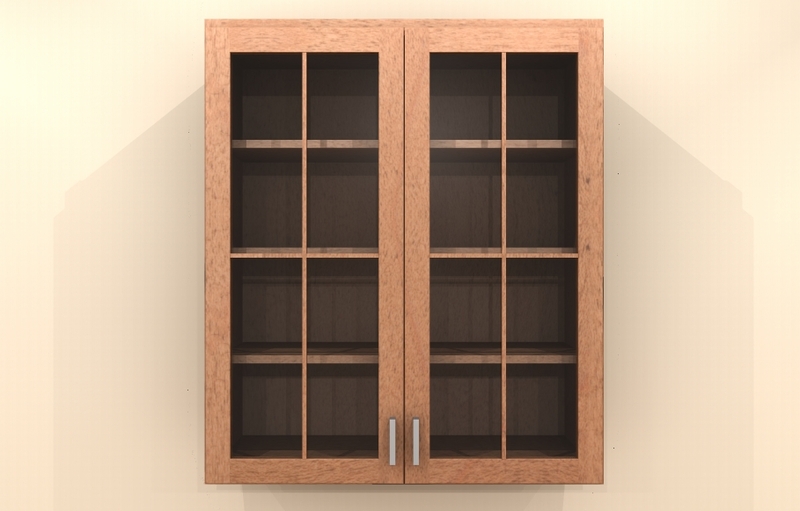 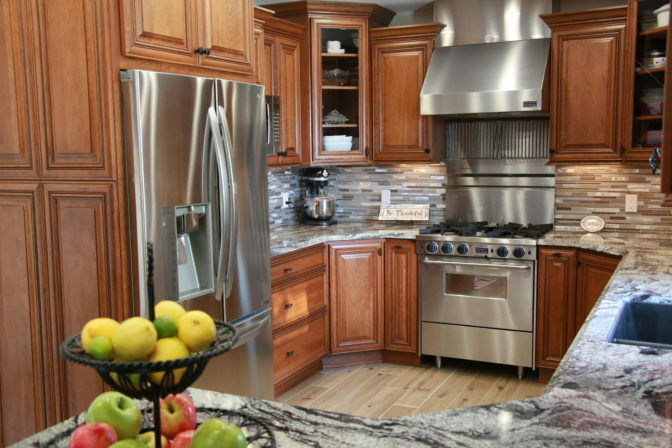 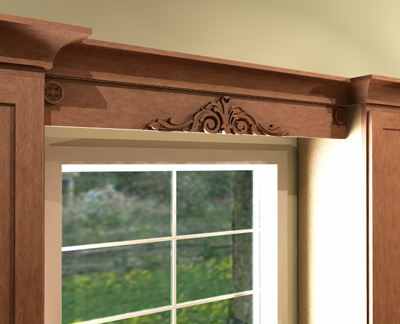 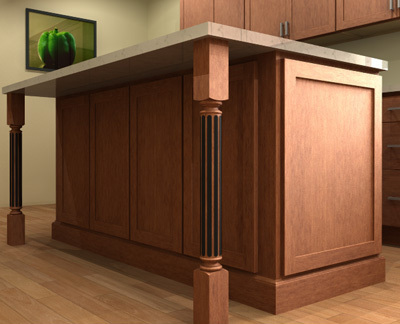 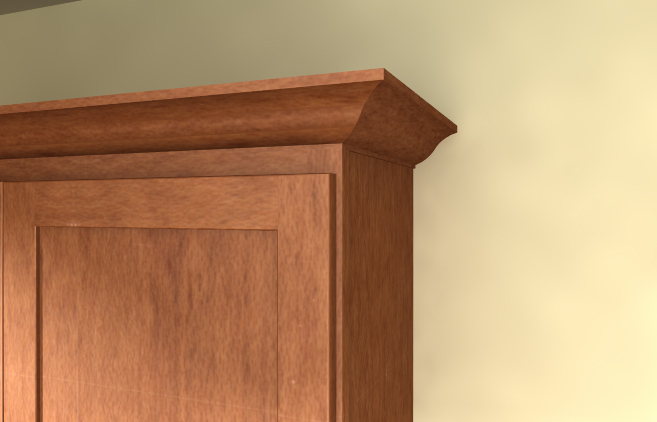 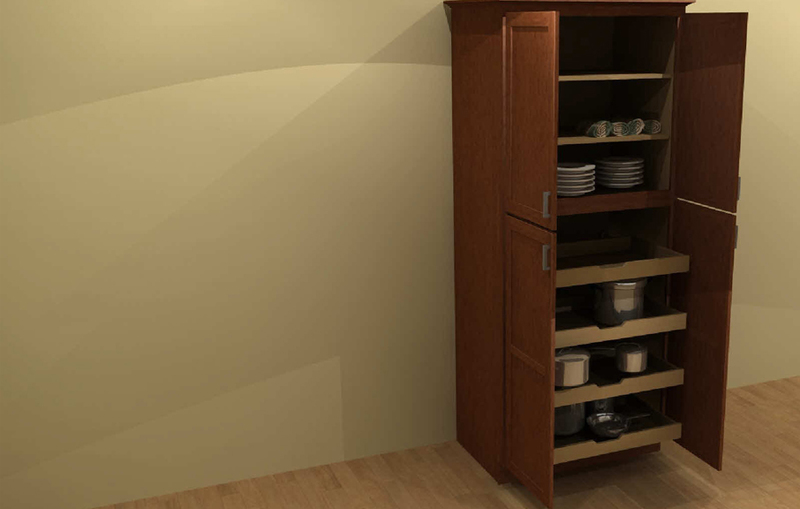 Each cabinet is crafted using only the best materials and construction methods and backed by a Lifetime Limited Warranty. 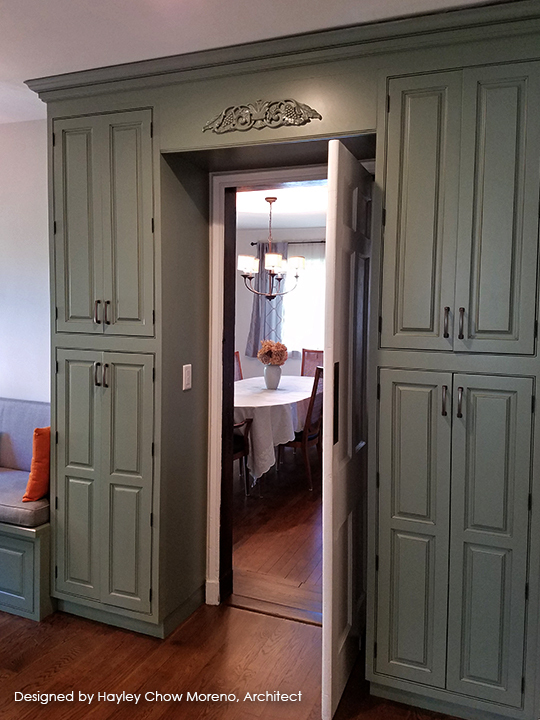 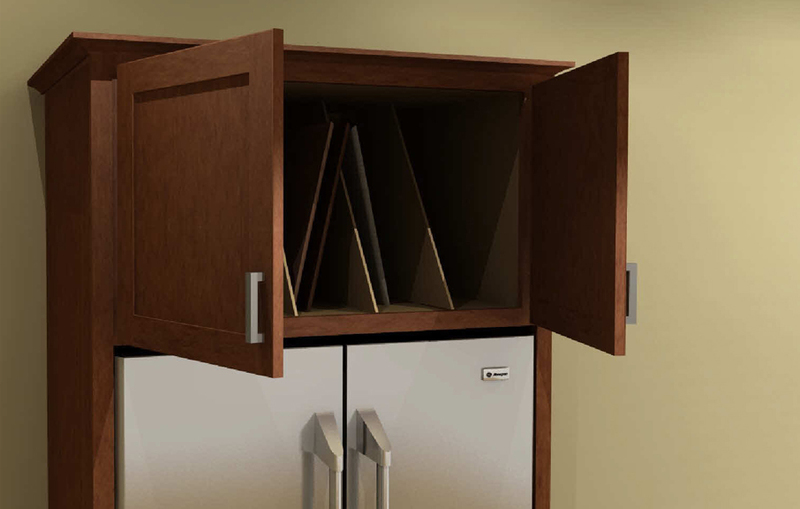 Unlike most other cabinet manufacturers, Ultimo® Custom Cabinetry can modify cabinets in all three dimensions (Height, Depth and Width) to 1/16”. 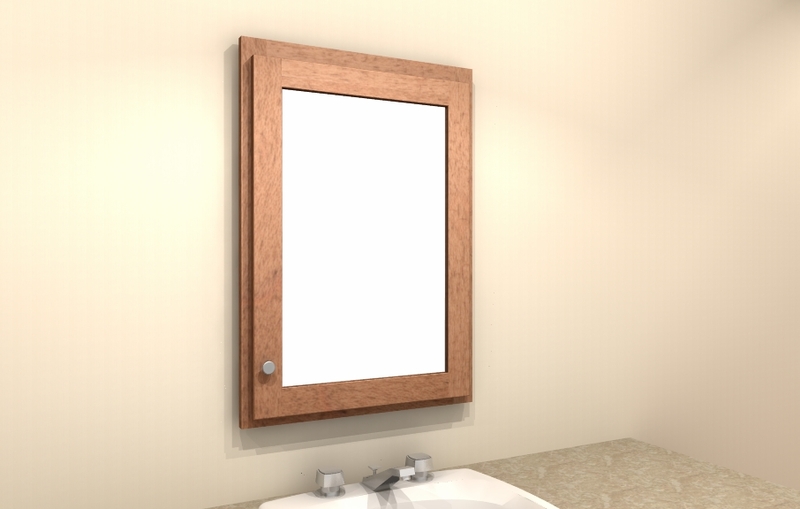 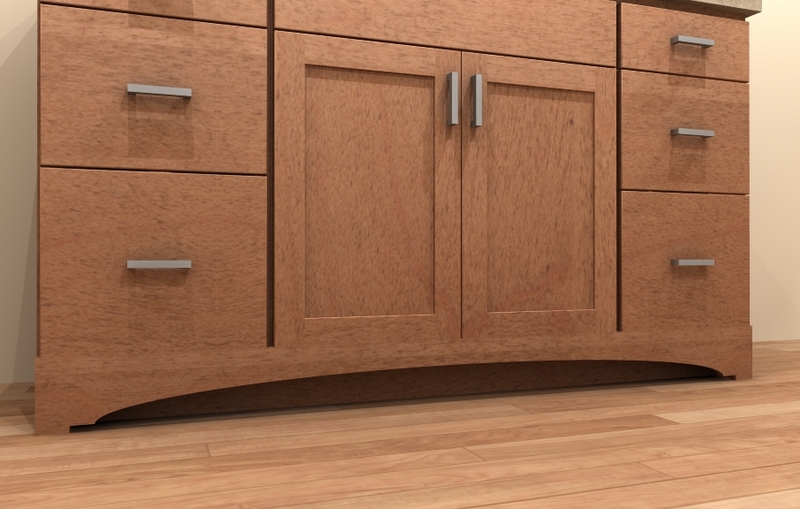 Our plywood is specially designed to deliver exceptional durability with a smooth even finish. 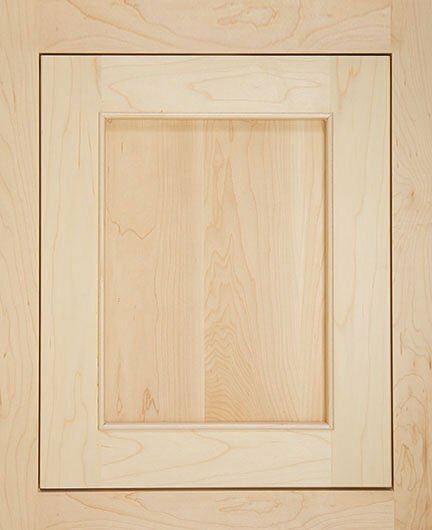 To achieve this, the plywood used in our exposed finished end panels features a layer of medium density fiber board (MDF) on either side of a hardwood plywood inner core consisting of 3 or more layers of hardwood. 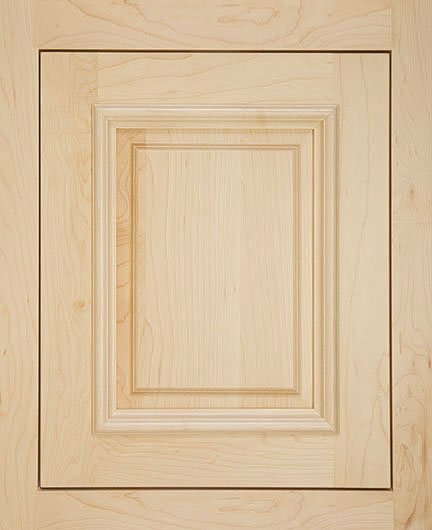 MDF is the best surface currently available for the application of tinted varnish, as it delivers a perfectly flat surface free from defects. 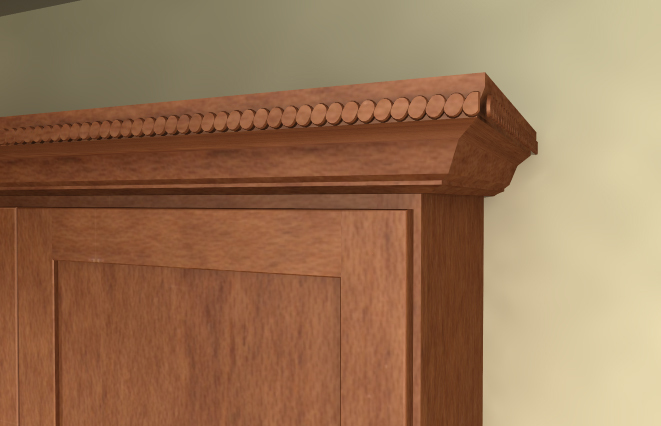 For this reason, tinted varnish is applied directly to the MDF layer. 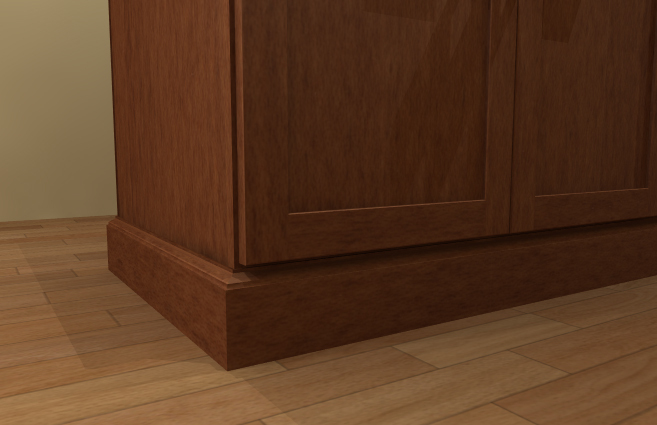 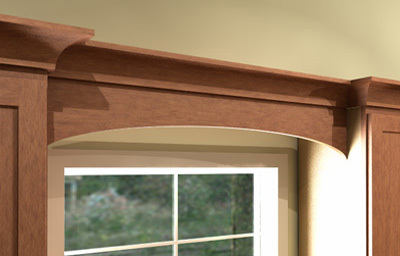 For stained finished ends, stain is applied to a hardwood veneer over the exterior MDF layer. 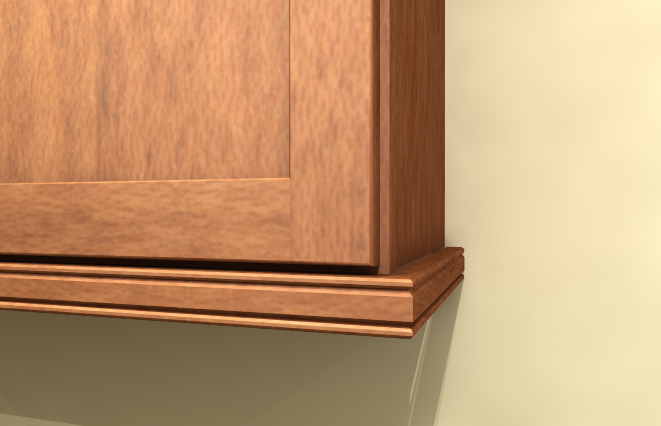 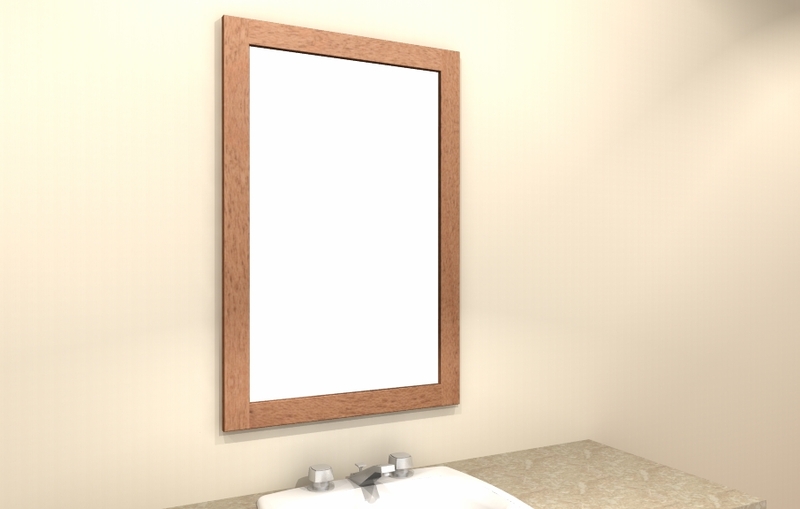 This is an optimal technique as it preserves the beauty of the chosen wood specie by preventing the undesirable characteristics of plywood, from appearing on the stained surface over time. 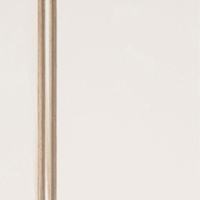 D) Glides Soft-close, full-extension glides rated to hold 100 lbs. 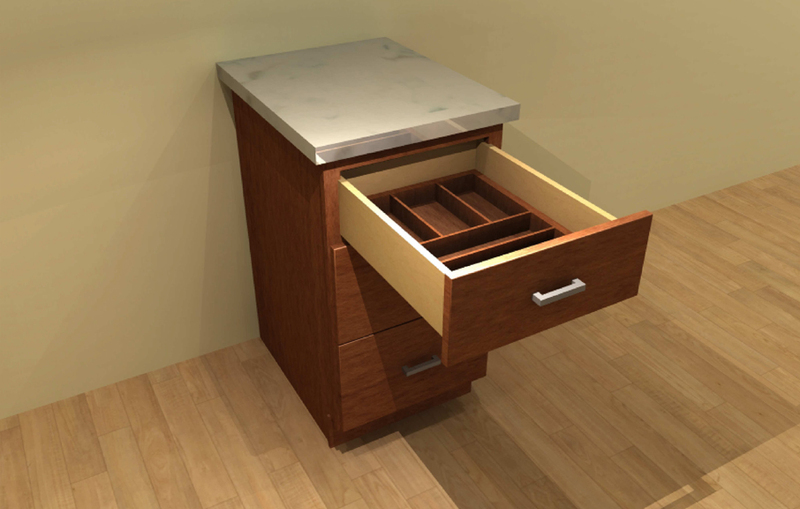 E) Easy Release Depress button to easily remove drawer for cleaning. 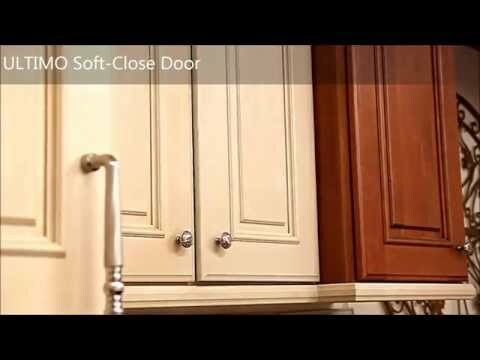 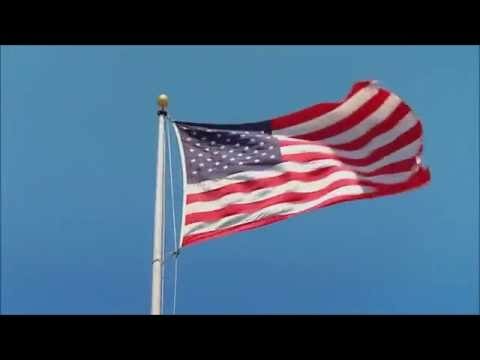 Soft-Close Doors A video demonstration of the our ultra quiet soft-close door in action. 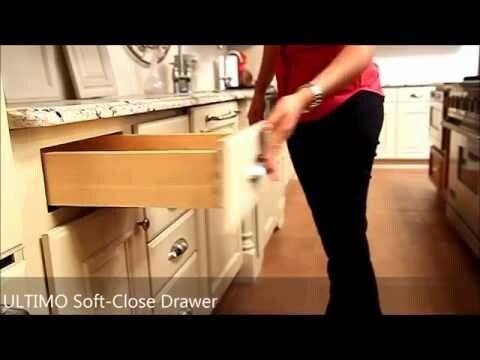 Soft-Close Drawers A video demonstration of our ultra quiet soft-close drawer in action. 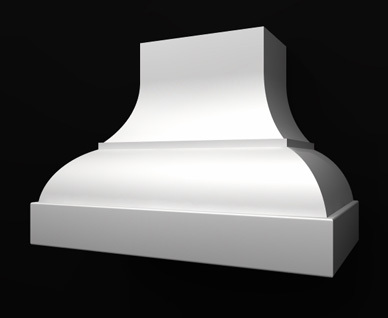 Construction Methods A video offering a look inside our factory detailing the Ultimo product & construction methods. 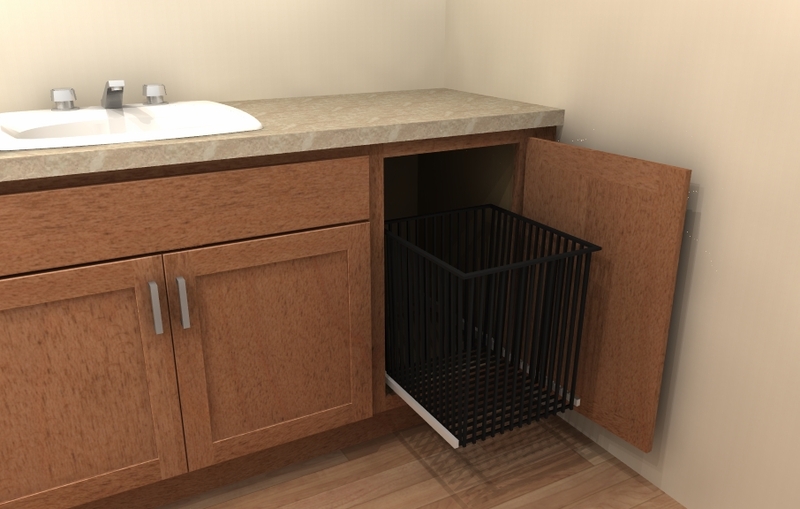 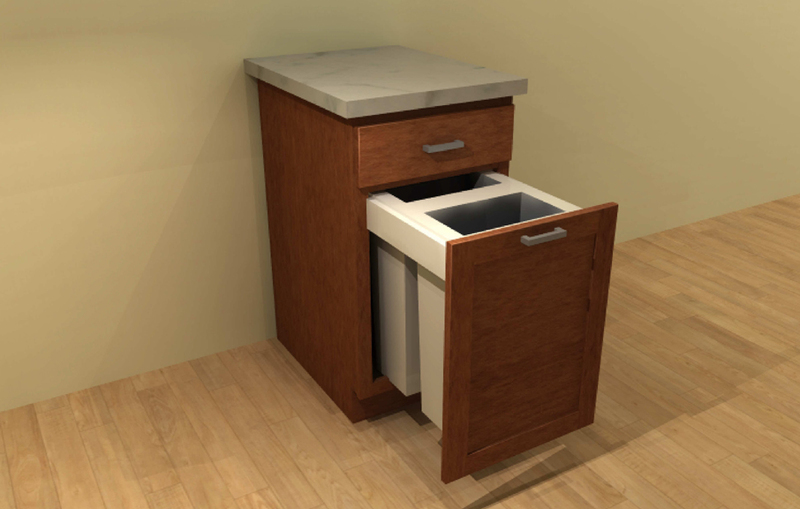 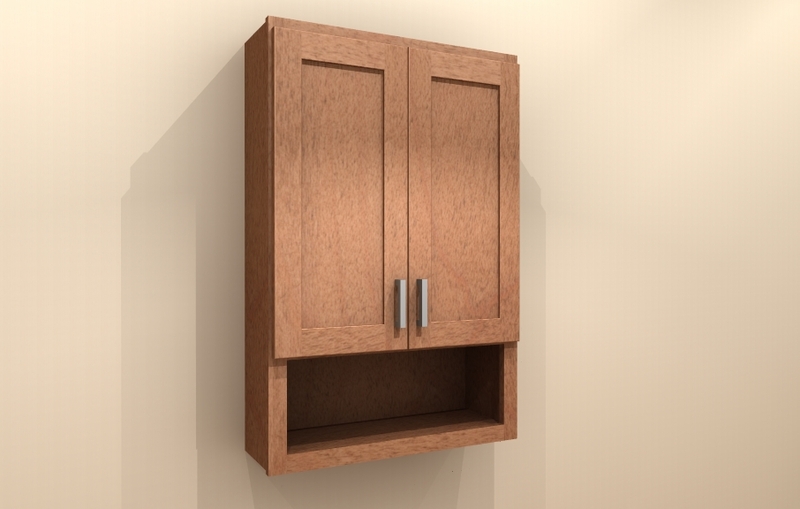 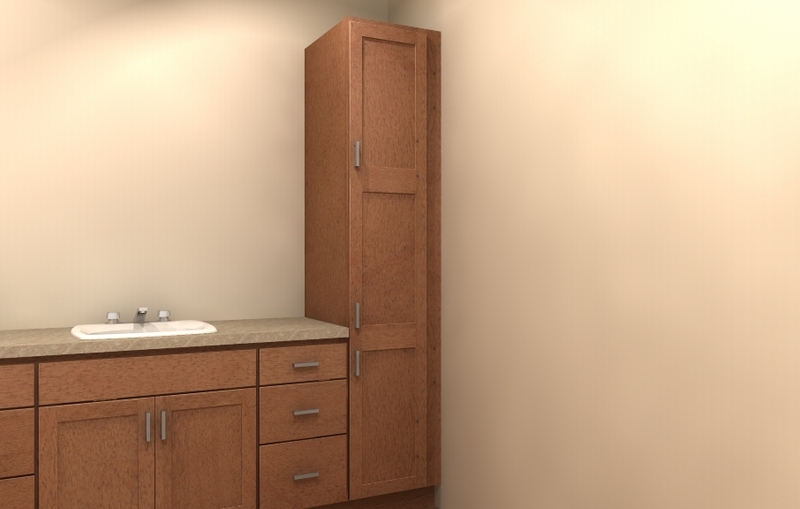 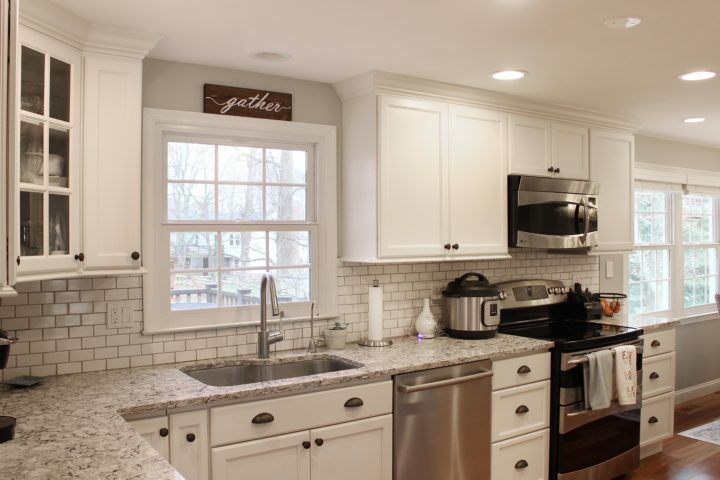 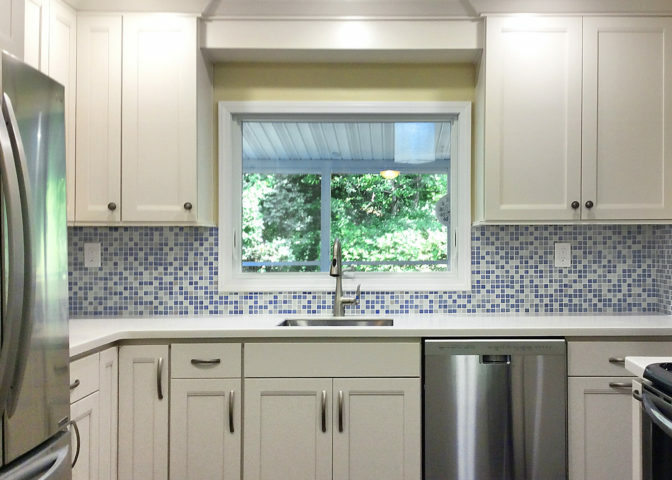 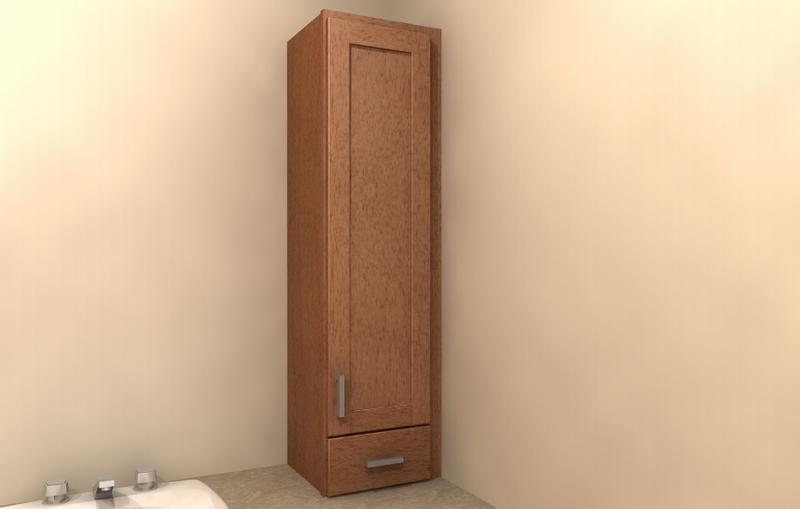 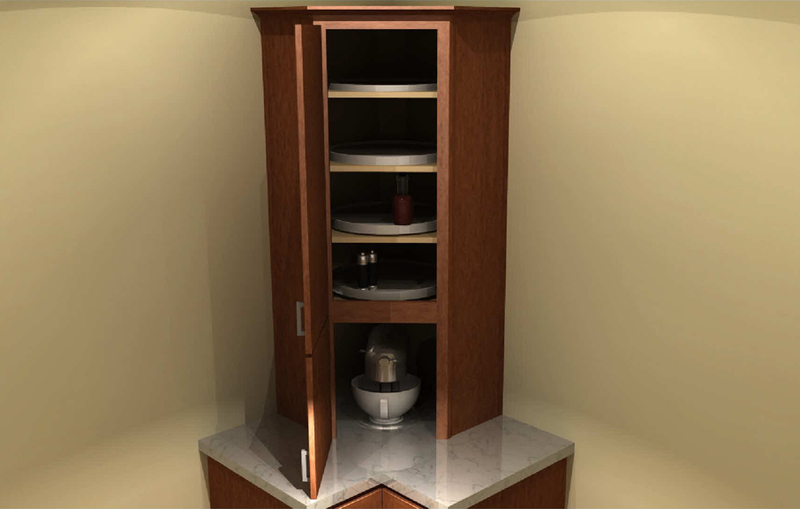 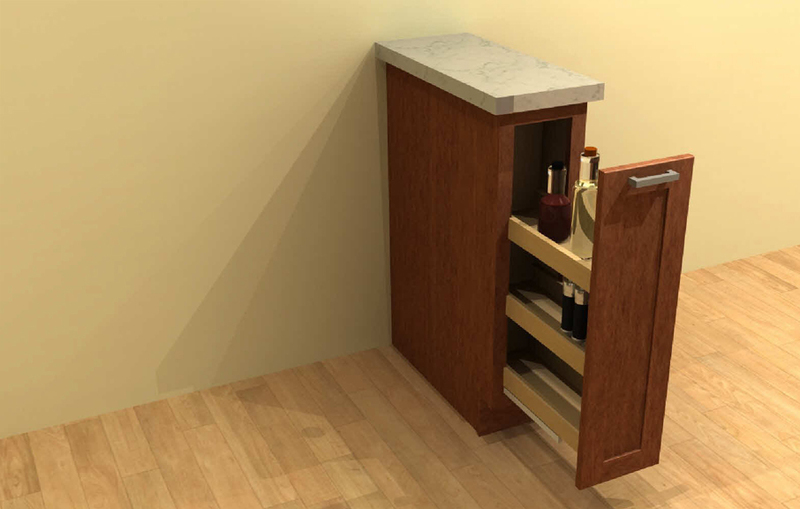 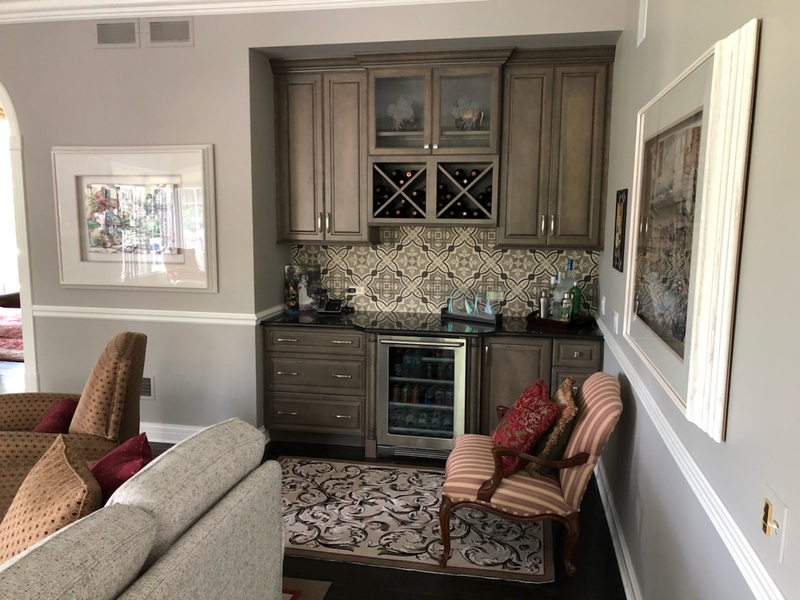 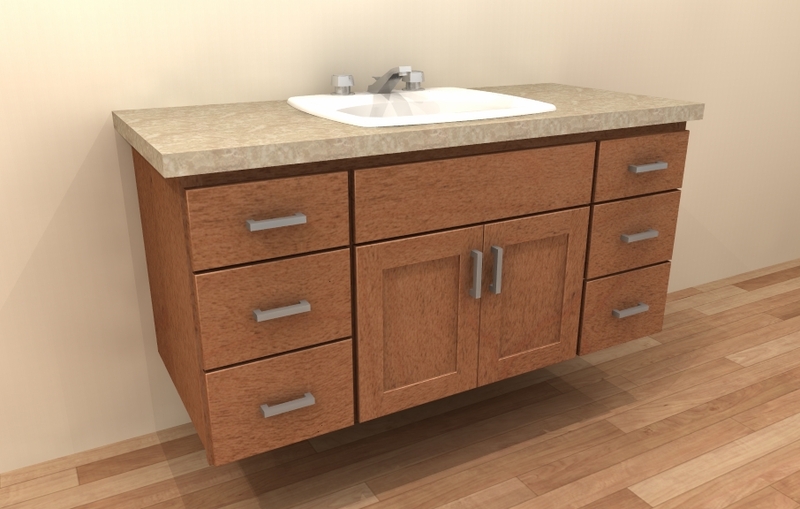 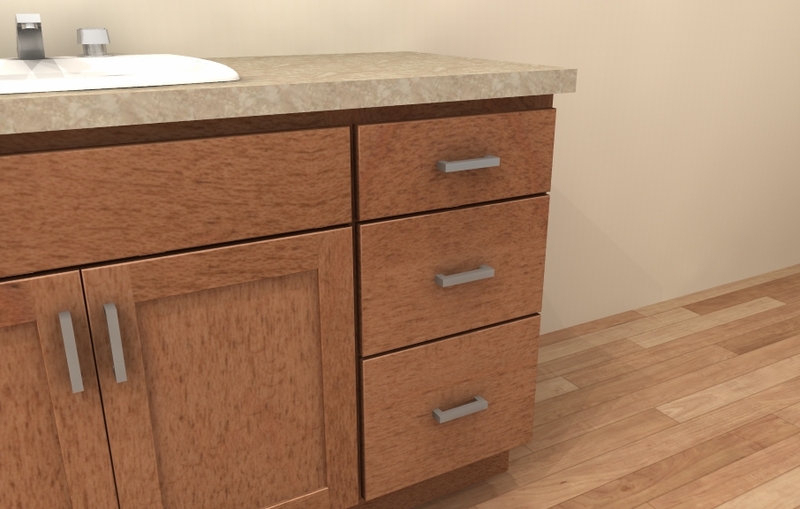 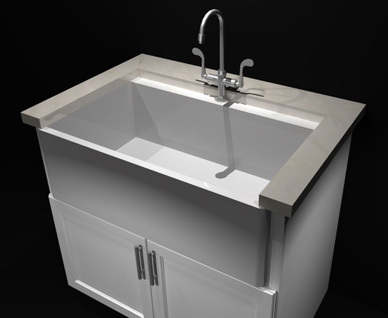 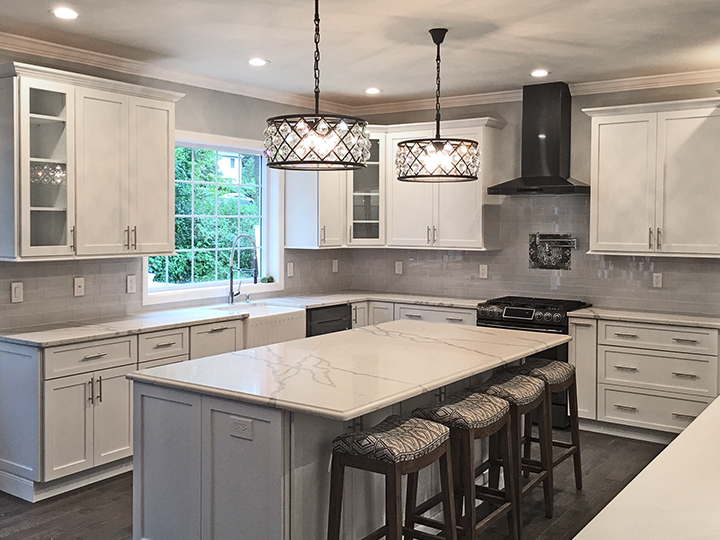 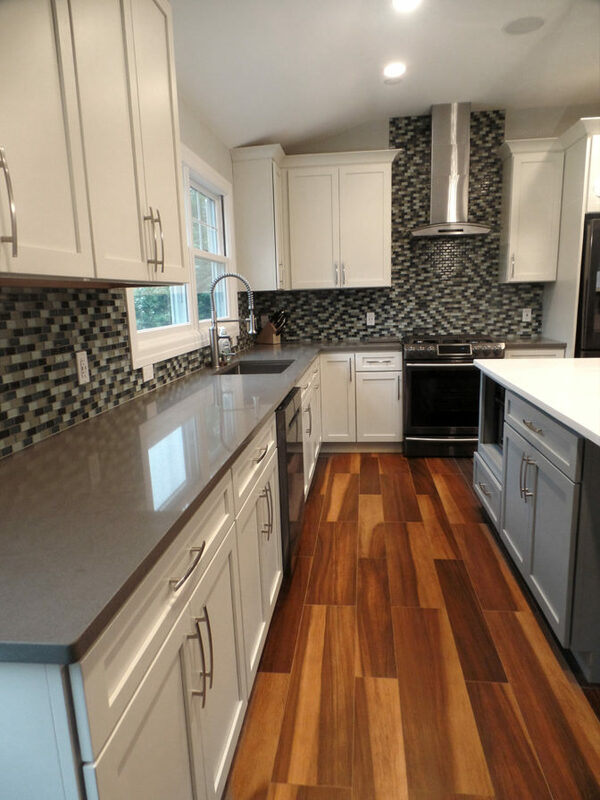 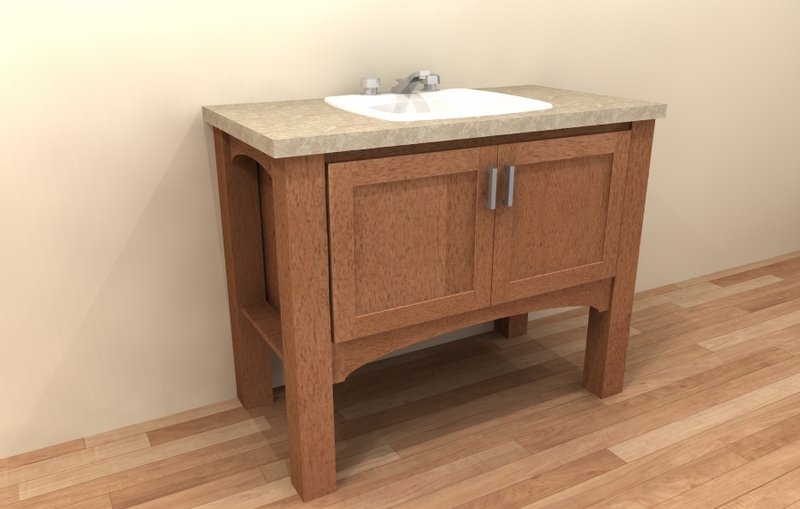 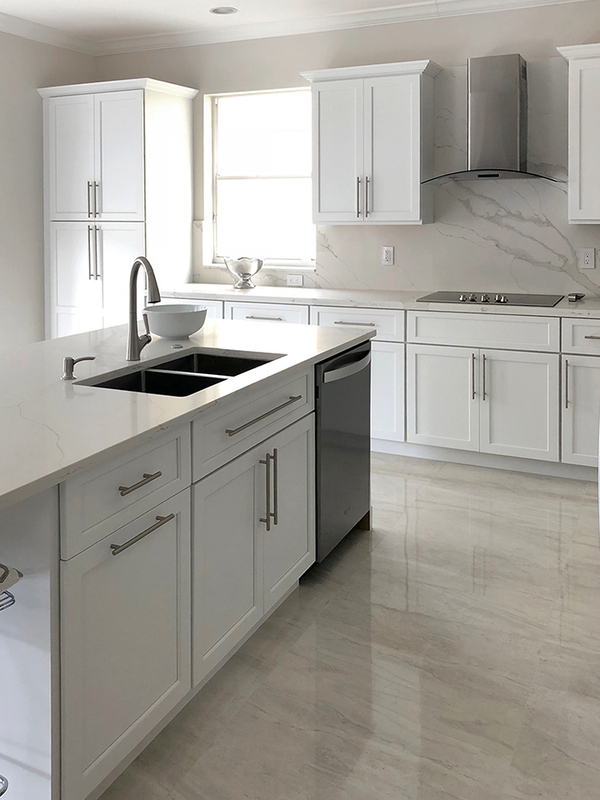 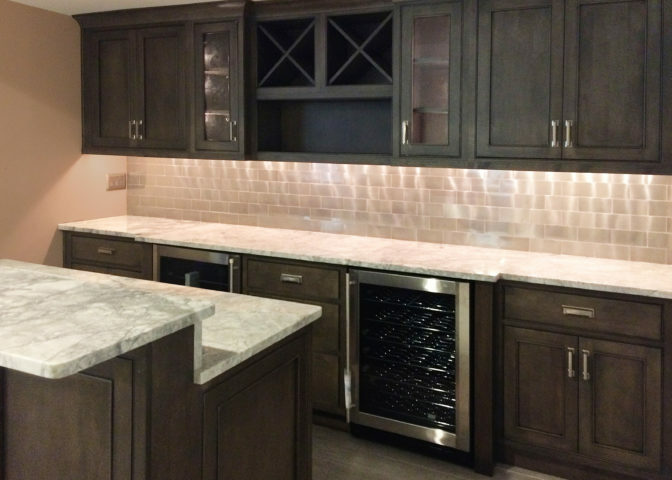 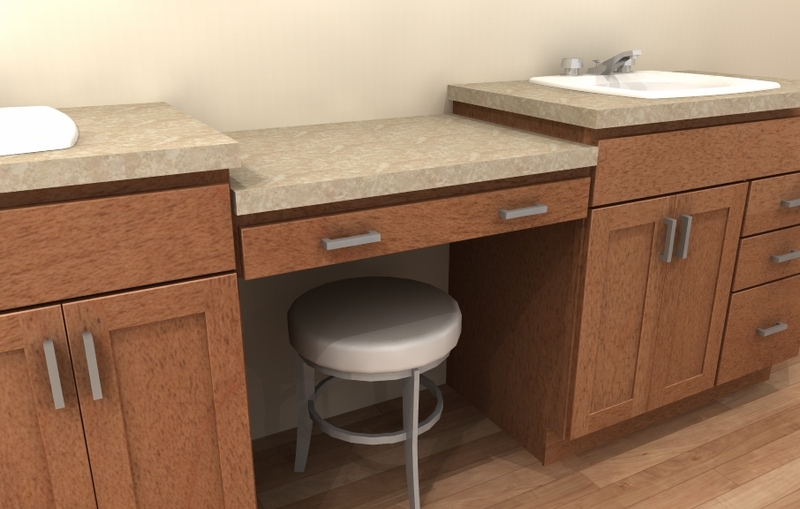 KCMA has certified that Ultimo Custom Cabinetry by Tuscan Hills has met the requirements for ANSI A161.1 Performance & Construction Standard for Kitchen and Vanity Cabinets. 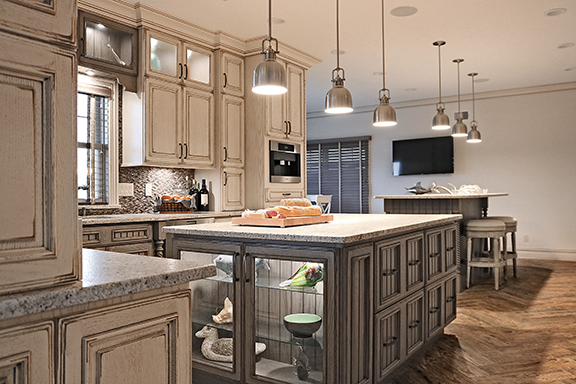 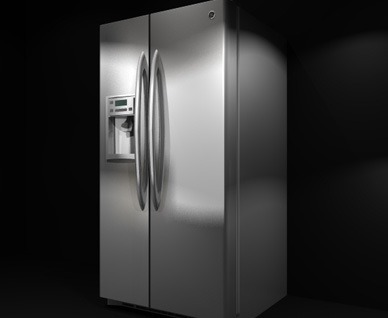 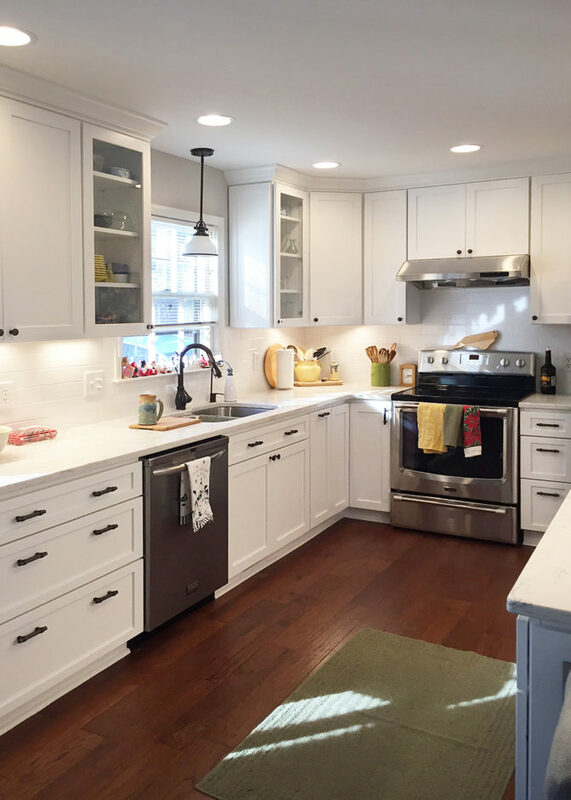 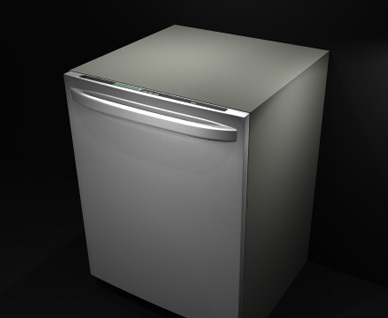 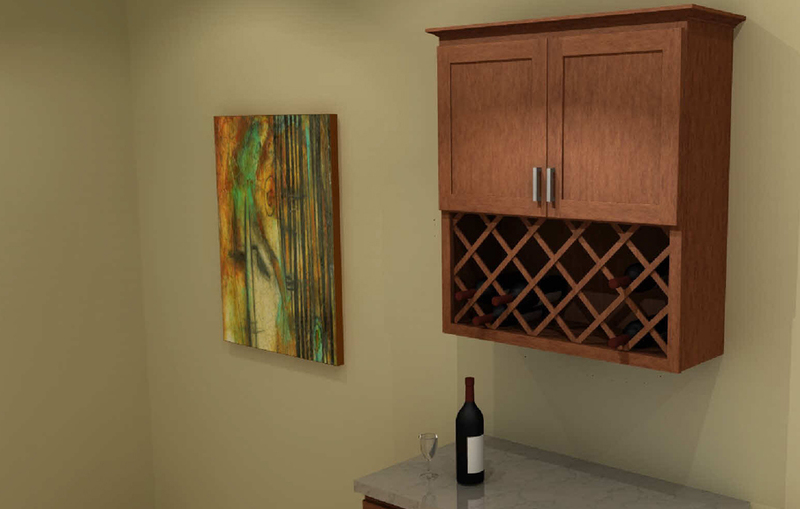 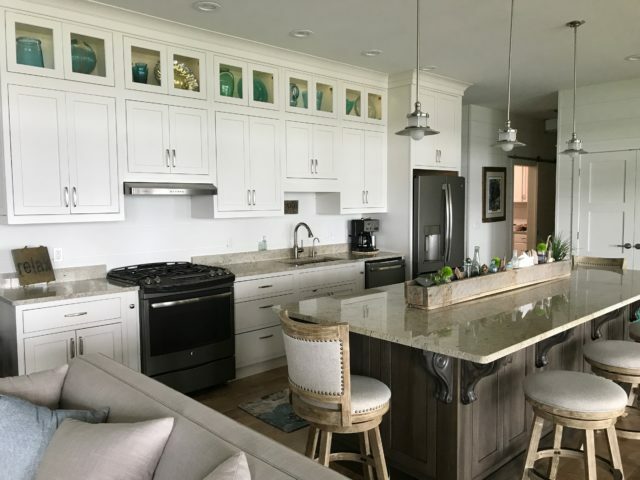 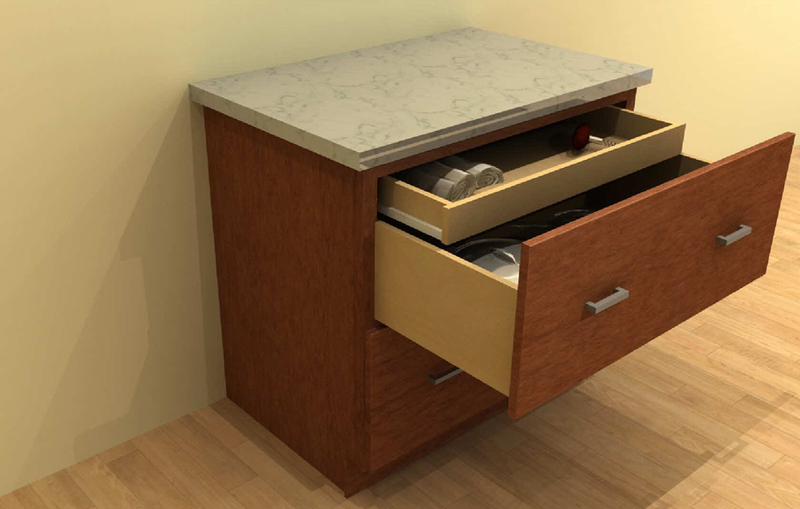 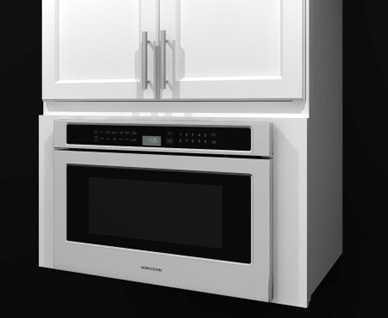 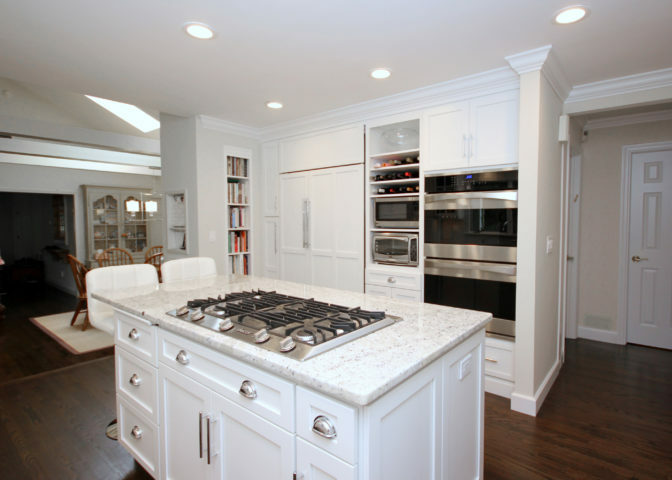 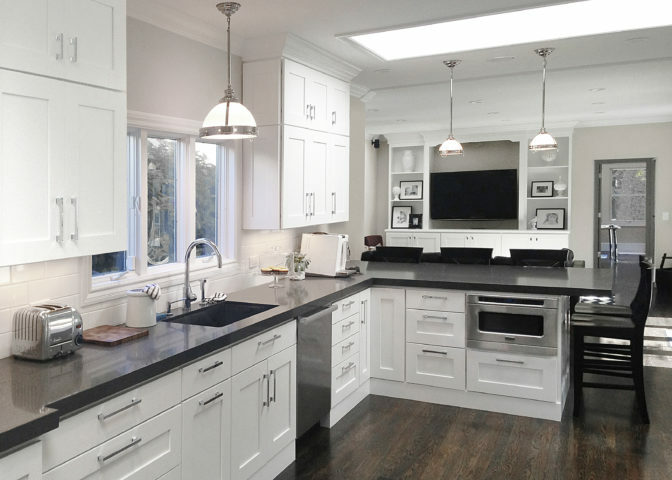 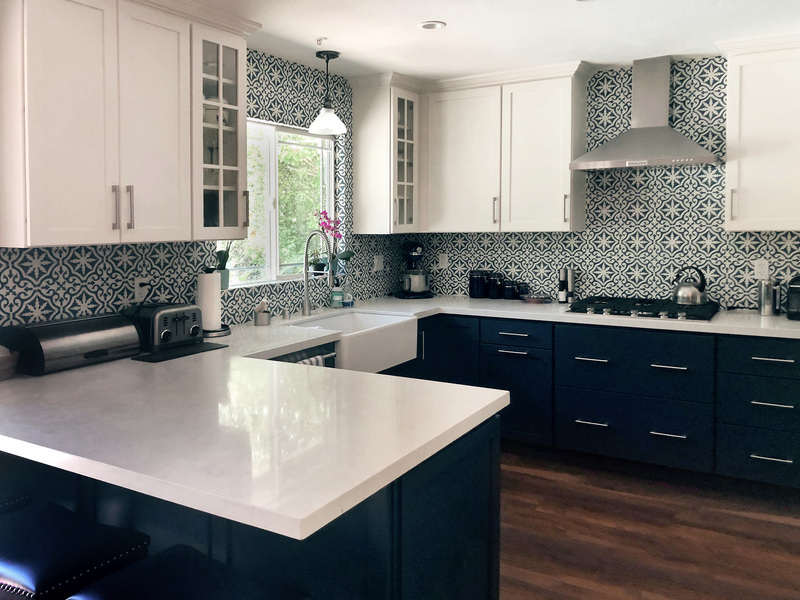 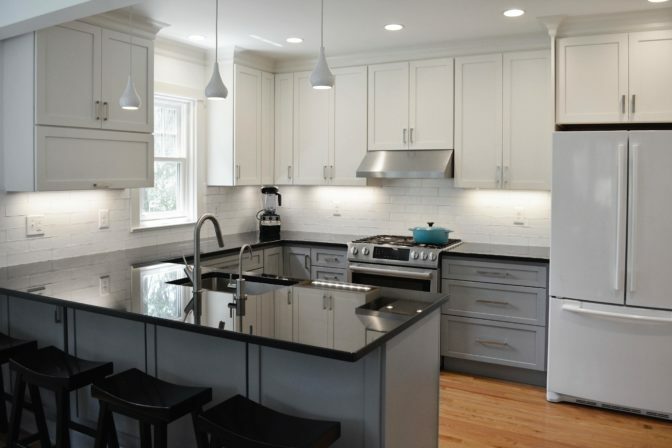 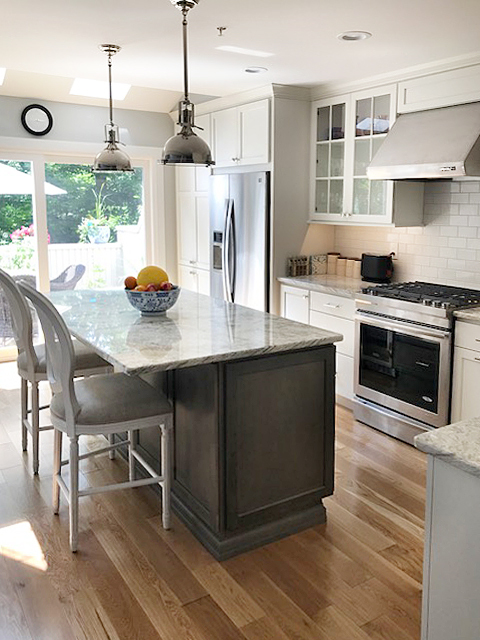 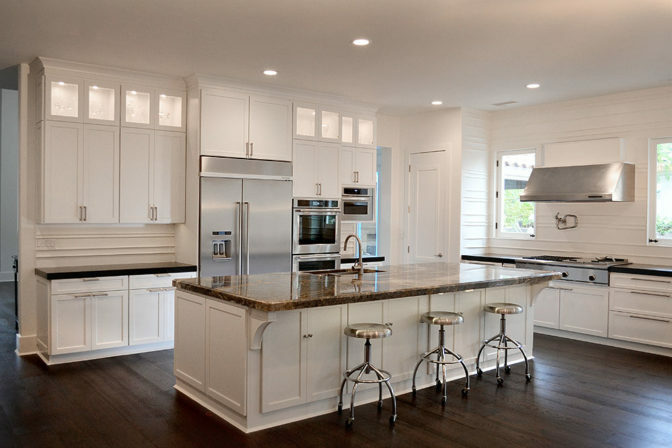 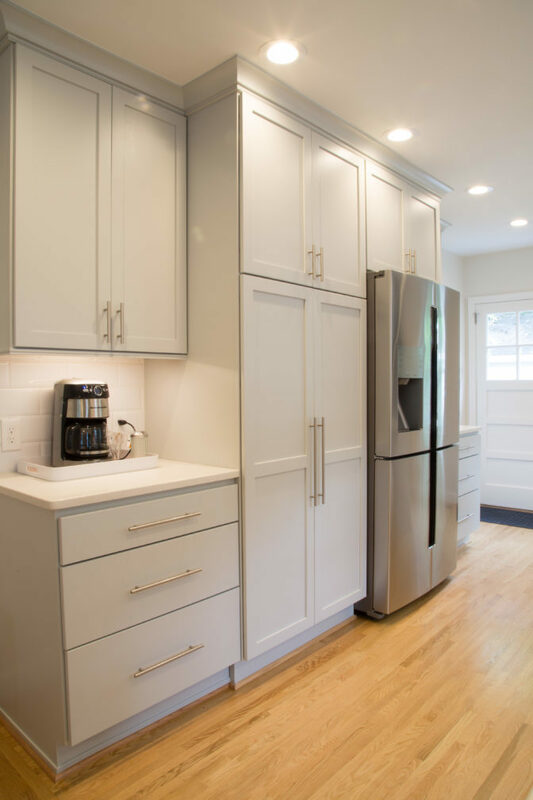 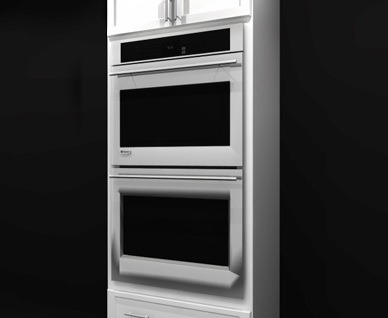 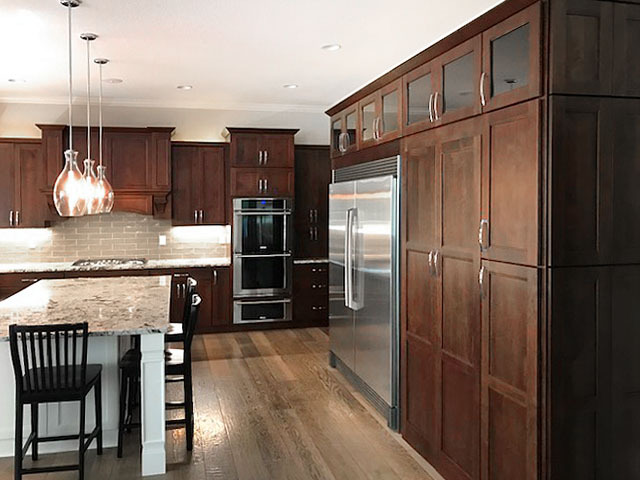 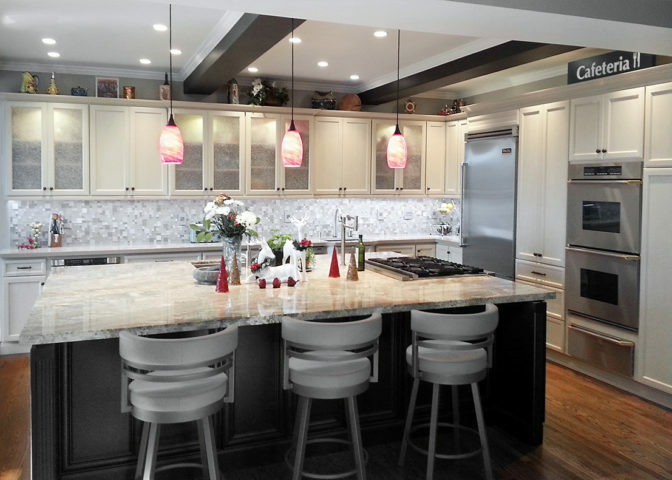 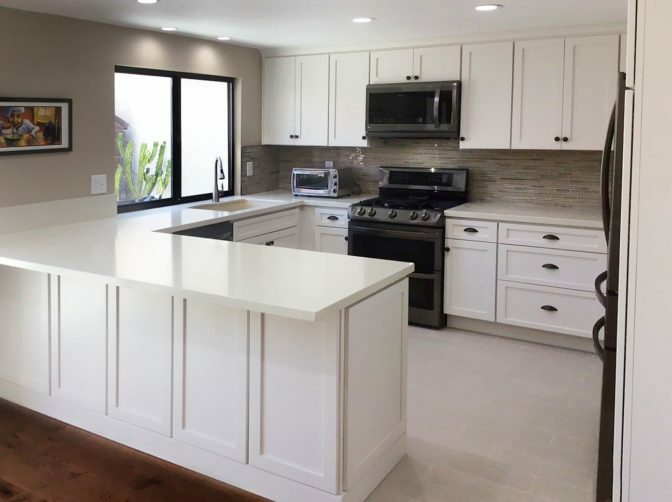 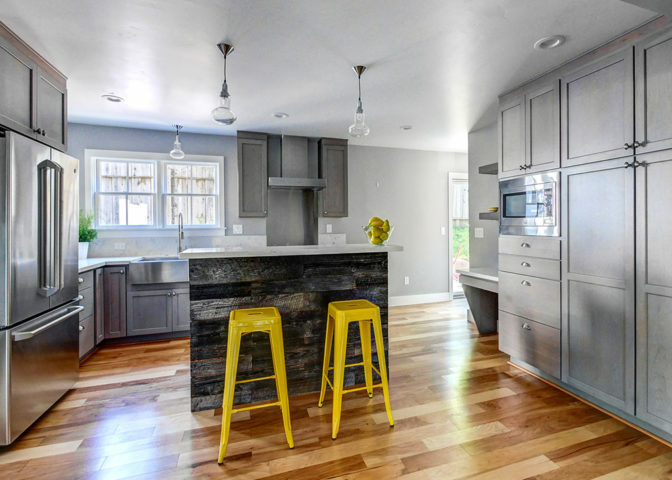 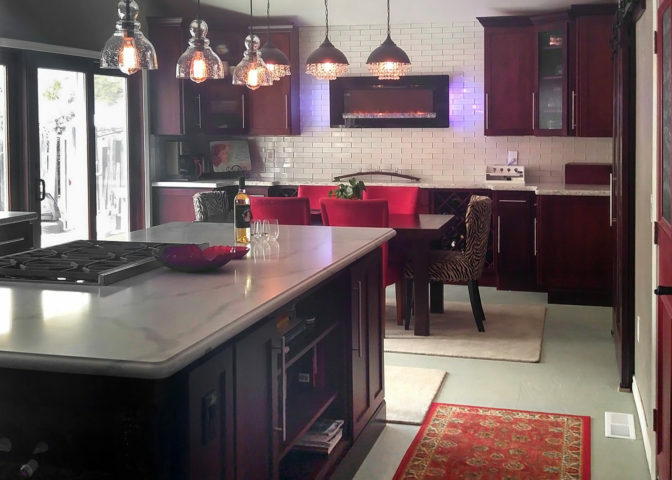 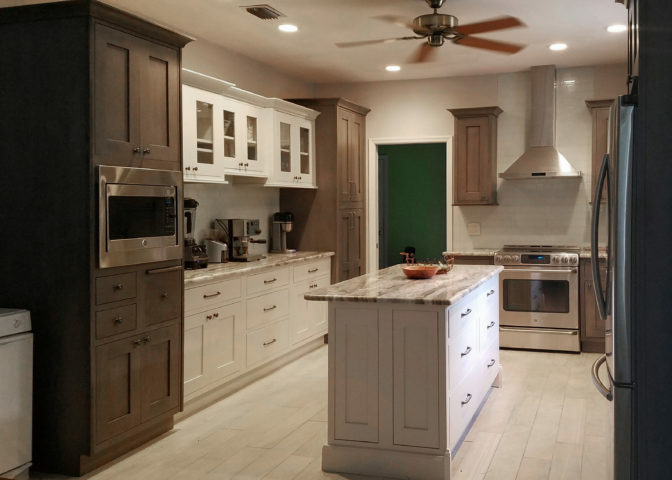 Cabinets that comply and bear the KCMA certification seal, like Ultimo Custom Cabinetry by Tuscan Hills, are able to perform after a rigorous battery of tests simulating years of typical household use. 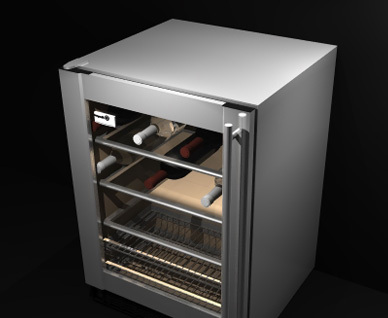  Tests are performed by approved third-party independent laboratories. 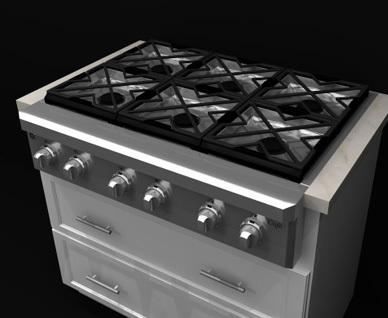 Samples for testing are selected in an unannounced visit to manufacturing plant. 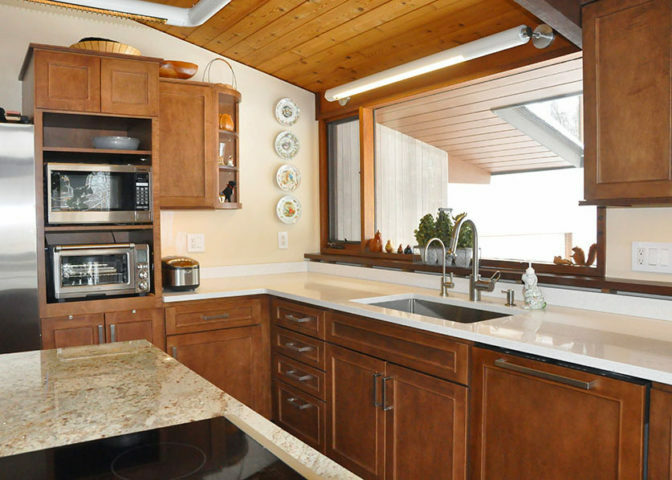 More information can be found at www.kcma.org/ under Visitors and Homeowners.